“What is the Eligibility Criteria for GATE 2019 ? I still have backlog(s). Am I eligible for GATE 2019 ? (1) I am currently in 3rd year of engineering. Am I eligible for GATE 2019 ? (2) I am currently in final year of engineering. Am I eligible for GATE 2019 ? (3) I am currently in final year of engineering but still have backlog(s) to clear. Am I eligible for GATE 2019 ? (4) I first did diploma in engineering then degree in engineering. Am I eligible for GATE 2019 ? (5) I am currently in final year of engineering but still I have backlog(s). What I need to upload in GATE 2019 online application form ? (6) I have completed degree in engineering but haven’t receive degree document from college/university. What I need to upload in GATE 2019 online application form ? (7) I have qualified GATE 2018 examination. Can I apply again for GATE 2019 examination ? (8) Currently, I am doing M Tech. Can I apply for GATE 2019 exam ? (9) Currently, I am in final year of B.Sc. (Bachelor of science). Can I apply for GATE 2019 exam ? 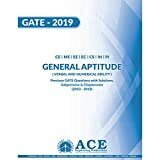 For GATE International Candidates from Bangladesh, Ethiopia, Nepal, Singapore, Sri Lanka, and UAE, the eligibility criteria to write GATE 2019 is : Candidates who have completed Bachelor’s degree in Engineering or Master’s degree in Science in a relevant subject or are in the final year of the program. A candidate must have completed his/her B.E./B. Tech. or currently in final year are eligible for GATE 2019 . (3) I am currently in final year of engineering but still I have backlog(s) to clear. Am I eligible for GATE 2019 ? Let’s us analyse this issue practically. A candidate who is currently in final year must have entered in his/her final year course in the month of July of the year 2019 and will attend his final exams / 8th semester exam in the month of May of the year 2019 and his/her final result / 8th semester result will be out within a month after final exam means in the month of June of the year 2019 . Here we can easily understand that candidates who are currently in final year of the B.E./B. Tech. course have time period till the month May of the year 2019 for completing his/her B.E./B. Tech. course. So in this time period a candidate can clear his/her final year / final semester as well as backlog(s) of any year / any semester if he/she have. # We considered these months for analysis after analyzing important dates of final year of various colleges. (4) I first did diploma in engineering / B.Sc. in engineering then degree in engineering. Am I eligible for GATE 2019 ? Candidates get admission into Bachelor Engineering/ Technology degree courses after 10+2 (Senior secondary) would enroll in the first year of B.E./B. Tech. course and candidates who first did B.Sc. / Diploma in Engineering/Technology course then Bachelor Engineering/ Technology degree would enroll in the second year of B.E./B. Tech. course. So here candidates having B.Sc. degree or Engineering/Technology Diploma need not to worry about their educational qualification and its eligibility for GATE 2019 examination. Its their educational ability that making them special. So You are completely eligible for GATE 2019 . If candidate appeared in the final semester/year exam but has a backlog to be cleared from an earlier semester/year. So you need to upload certificate from Principal along with photograph and signature while filling GATE 2019 online application form. Candidates who are facing any kind of difficulty while filling GATE 2019 online application form may follow below link for knowing complete GATE 2019 online application form filling procedure. A candidate who have completing his/her B.E./B. Tech. course would upload course completion certificate during GATE 2019 online application form filling i.e., degree certificate / provisional certificate. So candidates who don’t have degree certificate will upload provisional certificate in upload document section of GATE 2019 online application form. Final result of the candidates who have completed degree in engineering must have out in the month of June of the year 2019. So such candidates must have received their degree certificate / provisional certificate. If not received any of these documents from college / university then you must contact your college / university administration for providing atleast provisional certificate. Candidates need to scan such certificates in PDF file format then they would be able to upload such documents while filling GATE 2019 online application form. Yes you can apply for GATE 2019 examination. There is no attempt limit in GATE exam. There is no age limit in GATE exam. So you are free to apply for GATE exam as many times you wish. Yes, You can apply for GATE 2019 examination. But if you want to use this GATE 2019 score to get admission in any college again then you would get admission into first year of Master of Engineering/Technology course. So in this way you would loose your current years which you are studying in Master of Engineering/Technology course. Candidates who are pursuing any higher degree or already obtained a degree higher than that mentioned in the above table, then the candidate need to select the relevant minimum required qualifying degree while filling the application form. No, You can’t. Candidates who are currently in final year of B.Sc. (Bachelor of science) course first need to complete M.Sc. (Master of science) course just after completing (Bachelor of science) course. Candidates who are facing any kind of problem related to GATE 2019 application form filling may post their queries here on this blog without any hesitation but first check this post so that you can get answer of your queries without waiting for our response. If you have problem which is not listed here you please post that here using below comment box. Tags Eligibility Criteria engineering Gate 2020 M. Tech. can i apply for gate 2019 if i have backlog in one subject in MSc I.t 2018? n I have to give exam of that subject in nov 2018 n hopefully ill clear the exam so if am eligible for gate 2019 i havent received my marksheet of Mscit but i have marksheet which is displayed on net so if am eligible can i upload that marksheet and also do i have submit my degree certificate also in upload document? (1) Yes you can apply for GATE 2019 if you have backlog. But you have to clear that backlog by 2019. (2) Yes, internet downloaded mark sheet is accepted. sir is the certificate from the hod and certificate from the principle for the backlog students who are currently persuing their final year are both the same is it enough if the candidate upload any of the one certificates please reply sir. I have done diploma and now in final year B.Tech. so in the eligibility certificate from HOD dept for GATE 2018 , it requires “Duration of Program”. I’m not sure whether it should be 3 or 4 years. For candidates who have done B.Sc./Diploma in Engineering /Technology first and then took admission into bachelor’s degree in Engineering/Technology course. can i apply with my previous year provisional certificate.As i can’t go and get it again from my college. You need to upload certificate from principle. If you can not obtain this certificate, you may upload final year mark sheet. In case, the degree certificate/provisional certificate has not been issued at the time of application, final year mark sheet (of any one semester) must be uploaded as eligibility document. I have completed my masters in chemistry in 2017. The result has been declared but the final semester mark sheet has not been issued. I uploaded the provisional mark sheet available on the university site of the 4th semester result. But it has been declared as a defect and Gate has asked me to rectify it. What should I do? Should I upload my B.Sc degree along with my 3rd semester mark sheet. Please reply. You can upload Final year mark sheet (of any one semester) as eligibility document. While filling application form I have entered Qualifying year as 2017, since I have passed my MSc degree in 2017. But in final preview which we get after successful payment shows 2017 as my Year of Graduation. (In actual my passing year of Graduation i.e. BSc degree is 2015). Yesterday, I got a mail from GATE IITG mentioning that my application has been accepted. I am confused whether I should try to correct the year as 2015 or leave it ? Is this mistake from your side or from GATE 2018 office side ? If it is from your side you should correct it and if this is from GATE 2018 office side then you can leave it. hi sir i completed my M.tech 2017 passed out but i dont have my fourth sem mrak list and PC ,which certificates i have to upload now? You need to upload your B Tech completion certification because minimum education qualification for GATE 2018 exam is B Tech. If you are doing dual degree then you have to upload final year mark sheet or course completion certificate or certification from principle. Yes you can upload final year marksheet. Can 2016 BE passout students apply for GATE 2016. Yes you can but your eligibility certificate visibility should be clear. Thank you so much for replying quickly. I have completed B.Tech in 2014 but still have few backlogs which I will complete in December 2017. Can I apply for GATE 2018? For more details please check below post. in the eligibility form i forgot to mention final year …out of option final/prefinal ..what to do ???. If you have not submitted your application form finally, you can edit your details. If you do not do this and if GATE office find this issue as a major issue they will contact you during application form checking process called scrutiny. You always have a choice to fill a fresh GATE 2018 application form. Hello Sir, I’m 2017 passed out student. Our college didnt provide any provisional certificate and final year marks memo due to the fee due. So can I upload my 3rd year (6th semester) marks memo for applying gate ? Please Reply ? You need to either upload final year mark sheet (of any one semester) or provisional certificate as eligibility document. Please try to get any one out of these from the college. I am 2014 pass out student and i have all documents like results, leaving cert., convocation cert. and provisional cert which we get with marksheet of 8th sem. You need to submit degree certificate/provisional degree. I am a backlog student(btech), was to be completed in 2014 and i still have 2 backlogs to clear in december 2016 and expecting result in may 2017, am i eligible for 2017 gate? Yes you are eligible for GATE 2017, if you get your complete b tech results on or before may, 2017. GATE 2016 online application form filling date has been over. You can fill the gate form in the same way just like others. Just choose appropriate degree of yours. Hi..Is a 2007 passout B Tech graduate eligible for Gate Exam – 2016 or 2017?? There is no age limit for attending GATE exam. can i elgibuil for gate. What is the year of my degree? ??? I compleated MCA. can i upload MCA provisional for eligibility certificate? I have completed Master’s Degree in Sociology.So can i apply for GATE? There is no such paper which suits Sociology post graduates. GATE exam is mainly for technical candidates. I have already submited the form ( I have done B.tech and doing M.tech right now) in which i uploaded my B.tech provinsional as eligibility certificate but they rejected my provisional certificate. What to do admin ?? Please tell me…… thank you. Do you have your Degree certificate. Try to upload that now. If GATE 2016 office found any mistake in your form they will contact you and guide you how to correct it. Im a B.tech 2012 pass out and currently working in a software company. Can I apply for GATE 2016? can i apply for gate 2016 while having backlog in first sem i have recently applied for reevelation and have passed my 2,3,5,6,8 semesters 4 & 7th sem results is expecting soon to come in November this year i have completed my course in 2014.
dear sir, i face many more problems with this forum submitting. ….. Note: The defect(s) shown below needs rectification before 15th October 2015 for accepting your application. Otherwise, your application will be rejected. sir i have done m.sc maths i want to give GATE exam but i have reappear in 4th semester so what certificate i have to upload????????? sir, it is given in gate 2016’broucher that we can upload a copy of marksheet for section A. so what is mean of that.? does it mean we can upload marksheet instead of certificate.? That certificate is related to AMIE or AMICE not to BE/ B Tech. Sir, What is the required size (in Kbytes) of the document/degree certificate, Or, the quality of the document to upload? I am asking this because it is not mentioned anywhere in the information brochure. kindly clarify. i acquired bachelors degree in 2013 and since then have not joined any institute for higher studies. how will i get the certificate signed by principal after 2 years. is it compulsory to get this certificate? Hello i am sravanthi. I have completed M.Tech (CSE) in Dec 2014 from JNTU university. Am i eligible to apply to GATE 2016 ? If i have chance then which serial number should i use for qualifying degree i.e., either 5 or 6? Minimum qualification for GATE is B Tech so you have fill your B Tech details in GATE application form. Even you have completed your higher education. sir , i have xerox copy of my provisional certificate , can i apply with that xerox copy, actually my provisioal is lost and i applied for that but it will come 20 days later. i have completed my btech in 2013. Yes you can. Scan it in JPG and convert it into PDF of directly save into PDF. I have attended my final year exam in 2015 , but have backlogs in 8th semester, which certificate is needed to upload in the form? My certificate from principal is found invalid. Submit a copy of any one of the marks sheets of the final year. I’am in NT caste. i must go in GC for this GATE exam? and then aftr GATE result, i’ll get job in PSU as GC student only or i can mention NT there? I want to do 2016….how to modify. ..Please kindly confirm my request. ..
1# For minor mistake correction candidate need to send email to your Zonal GATE Office. 2# For major mistake correction candidate need to file a new application with a new email address (mobile number can be same) and fill form correctly this time. Try first one and send mail to your Zonal GATE Office. if you think this is not working then you have to choose second option of filing new application form before closing date of GATE 2016 application form. i have completed my engineering this year. can i upload the computer generated marksheet of 8 th sem in gate 2016 exam?? Candidate who have passed qualifying examination required for GATE 2016 in 2015 or earlier, have to submit any course completion certificate like degree certificate / provisional certificate for completing your GATE 2016 online application form. Try to contact to your college/university administration regarding this. Providing provisional certificate is not so hard for them. i dont have provisional certificate as well as degree certificate. i have just cleared my backlogs. First I’ve completed my Diploma in Mechatronics. Then I Finished my B.S in Engineering Technology. So am I eligible for GATE 2016? 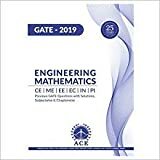 can i apply GATE 2016 for MA(Mathematics)? Scholarship would be given to all who take admission on the basis of GATE score card. I have completed be in 2015. While filling application form by mistake I habe uploaded 8 sem mark sheet.now what I do..will my participation cancelled?? can M.tech first year student attach their final year marksheet of B.tech in elegibility document section? I am currently pursuing MTech(CSE-IT) and would like to do PhD after that. Am i eligible for GATE 2016 to take admission for PhD? Also what documents I need to submit? Also there is no option for MTech students. I don’t belong to either of the categories (Integrated/dual MTech degree and MTech BSc.) mentioned in the application form. Provisional / degree certificate of B Tech. Can I apply for gate 2016 i completed bsc….